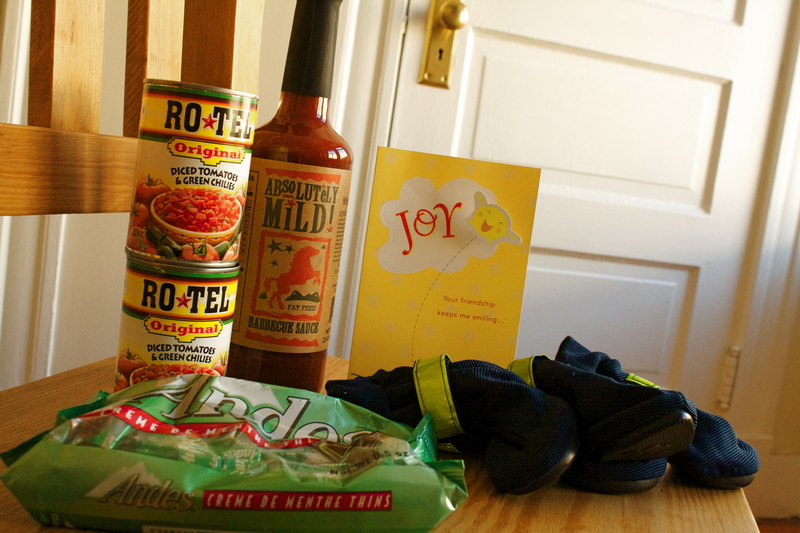 Rotel, my favorite barbeque sause, Andes mints, and dog booties for Spur. And a card. I am grateful for all of these things. And for Cathryn. I am also grateful for the bus driver who waited for me at my stop when he saw me running. He had already closed the doors when he saw me, and I would have been seriously late if he hadn’t waited. He totally rescued my Wednesday.